When Search Mode is ‘on’, the power consumption of the inverter in no-load operation is decreased by approx. 70%. In this mode the MultiPlus, when operating in inverter mode, is switched off in case of no load or very low load, and switches on every two seconds for a short period. 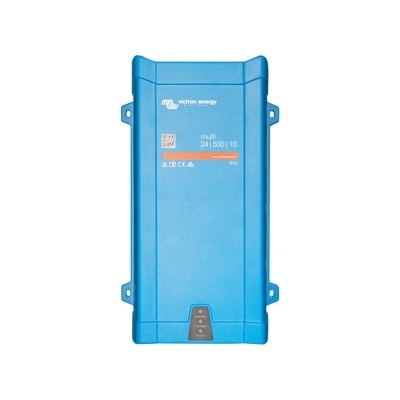 If the output current exceeds a set level, the inverter will continue to operate. If not, the inverter will shut down again.